Thought I would give the biggest forums a shot, let me know if you can help! I'm in CA but willing to fly anywhere in the US to check out any potentials. Wow.. a proper repaint costs overhere (the Netherlands) around 5 grant.. euro's .. say 5500 dollar?.. With a lot of repairs i guess under 10 grant? I'm thinking of selling my car, but it would be crazy to ship it back to California! 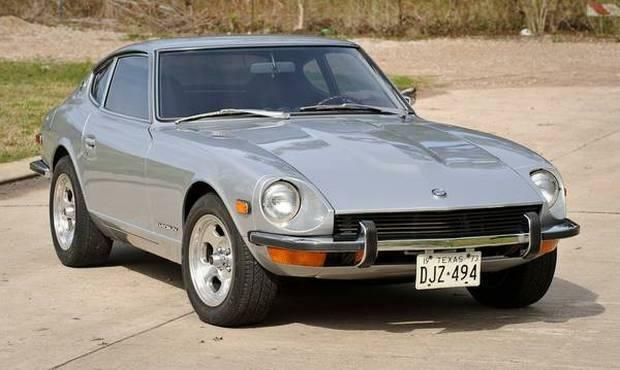 Oregon, Washington state, seem to have a good number of restorable Zs listed on Craigslist in the Spring. I think your paint shop might be padding their estimate a bit, you can certainly spend $15-20,000 USD on a paint job but I'm pretty sure you can still get very good paint in the $10k range. Members from Caly, is this still true? Hey cool, thanks for all the replies to a Noob! To be clear on the paint job, I would have wanted it done completely so engine bay, door jambs, trunk, etc....I think that 15-20K quote included pulling the interior and engine out of the car and the windows, whatever body work is needed, and putting it all back together. @Zedyone_kenobi is selling his roadster. He might sale his silver with red interior 240? @Hardway also looking for new projects. He has or had a nice silver one too. I doubt he'll sell for $15k, if so I'll be a buyer 😁. He's got a nice example. Okay, that makes more sense, that is a lot of work. Thanks so much for all the replies, no rush while I wait for the right one, i've wanted this car for years and finally saved enough. Yeah, me too! I'm sorry but I thought he was talking about a $15K paint job. I read from the bottom up. Lazy habit but I'm trying to do better. LOL, the Z is is not for sale! 🙂 But it is silver with black inteiror. You just missed this one. Plus the Red interior is more rare. Lots of 240's for sale all the time in the sites you mention and others.